Support All Troops From every nation. “Support the troops” is a cry heard in every empire that has an army that needs to be maintained. America is no different, and Veterans Day is a time to thank soldiers for their service to their country. For anyone attempting to follow Jesus, however, Veterans Day presents some very serious challenges. How Christians deal with such a holiday can, in fact, hasten or slow down the return of Jesus. For this reason, it is invaluable that we as a worldwide community of those who follow the slain lamb, reassess how we approach Veterans Day. Christians need to love the troops and care for them in ways very different, and much more challenging than how the world expects. Christ followers are not just required to love American soldiers, but all soldiers, in every country. We know more today than ever before about the wounds veterans carry in the aftermath of service. 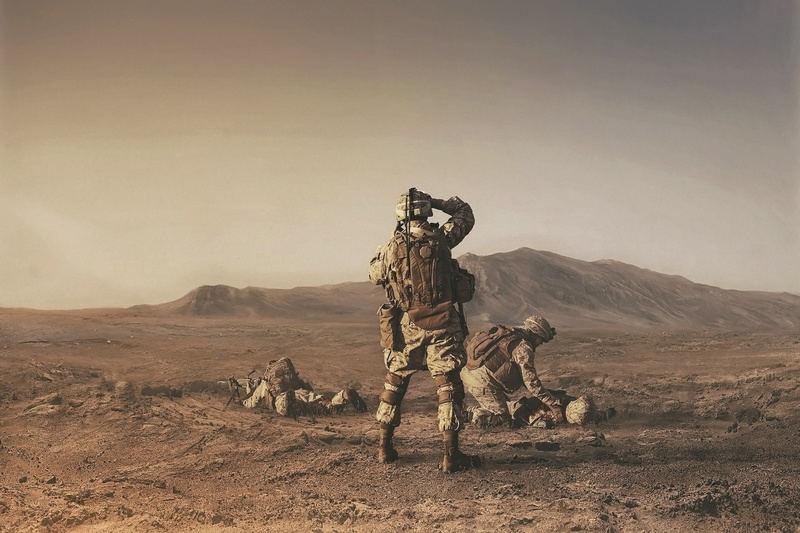 Despite the sometimes very severe, physical wounds veterans have to live with, it is not surprising that most often, their greatest challenges are not physical at all. It is their emotional, mental and spiritual trauma that relentlessly torments many veterans after their service and propels the epidemic of veteran suicides (over 20 a day), substance abuse, domestic violence and other injurious behaviors. Veterans are tossed out like trash once their empires are finished using them. Trauma isn’t a condition that can be easily shed when a veteran leaves the armed forces. Moral injury (the wounding of conscience), can leave veterans feeling guilty, shameful, conflicted about where they stand with God, and cannot be healed by a brass band playing patriotic songs and a parade around the town square. Loving veterans means to acknowledge the wounds they carry and walk alongside them on their path towards healing. The human brain does not know what to do with war, it cannot compute it. Humanity was designed for intimacy with Perfect Love (the creator, Jesus), so when we encounter the opposite (uncreation: horror, death, and tragedy), we lose ourself, our sanity. There is no healthy way to reconcile or justify war that will bring about healing. We cannot clean up the brutalities of war with words such as “sacrifice”, “service”, or “heroism”. At some point, in order to experience deep healing and true freedom, veterans will need to recognize war for what it is— something way outside God’s plan for humanity and the exact agenda of our true enemy, Satan. As Christ followers, we need to deeply sympathize with the pain veterans face without condoning what they have done or what the military does. Loving veterans means building community with them and creating spaces where we can all wrestle with the guilt and sin of war, all the while seeking a loving God who offers a different way. On Veterans Day weekend, as many Churches across America thank the troops and wave the American flag, Scripture challenges us to re-think how we celebrate. Nations have always lived and died by the sword (Matthew 26:52). But when nationalism and religious zeal are fused, the sword is wielded all the more passionately. This is why it’s always been in the interest of national and tribal leaders to get religious institutions on board as they rally troops for war. “God blesses America.” Almost every nation and tribe throughout history has shared the idolatrous assumption that it’s military victories were evidence of divine favor. This has been a staple of pagan religion from the start. From its earliest days, this same assumption has permeated American culture, it’s just that our tribal warrior god was called “Jesus”. The spirit of “us vs them” division is a primary tool of Satan. It deceives even Christians into killing other Christians as long as they are wearing a different uniform. The call of a Christian goes far beyond just “supporting the troops.” The most radical teaching of Jesus is that God’s people must love not only neighbor, but also enemy. This has incredible implications. This means Christians need to love all people. All people. Christians not only should love the troops of the nation they live in, but also the troops of all nations. If this is true, how can it be done? How is an American supposed to love the military of an enemy nation? At first, this can seem like a very difficult proposition. An American loving an enemy soldier? The trouble comes from two lies that are inherently believed in the question. First, that you are an American and second, that any foreign solider is your enemy. Scripture says that when we are “born again” we are born into a new citizenship in the Kingdom of God. The Kingdom of God is an actual nation with its own way of life, ethics, patriotism, history, and leader. It doesn’t allow for dual-citizenship. We are therefore foreigners, strangers, and exiles in the nation we live in (Hebrews 11:13; 1 Peter 1:17, 2:11). Those who live in America and who belong to Christ are no longer Americans (read more about this here). This first truth that helps us to love foreign soldiers leads into the second: they aren’t even our real enemies. America’s enemies are not our enemies because we are not American. Beyond that, Scripture says that human beings are not our true enemies to begin with. If someone has flesh and blood, they are not our enemy. Our real enemies are the spiritual deceivers who trick us into killing each other. If you aren’t really American, then that means that America’s soldiers are foreign soldiers to you. All soldiers are foreign soldiers to Christians. God loves the soldiers of every army on the planet just as much as he loves you. The difficult part is, he calls us to do the same (Ephesians 5:1-2). All troops from every nation have two things in common. First, they have all been deceived by Satan to participate in a violation of God’s will by killing other people who bear the image of our Creator (John 8:44). Even if they have not themselves killed other people, they contribute to an industry that kills millions. Second, they are people that Jesus loves, deems valuable, and worth dying for (John 3:16-17, Ephesians 3:18-19, 1 John 3:16). Jesus loves and died for every single soldier from every single nation. Christians are saved and removed from the “us vs them” vicious cycle by being citizens of the Kingdom of God, a nation that loves indiscriminately (Matthew 5:44-46). Love your enemies, do good to them, and lend to them without expecting to get anything back. Then your reward will be great, and you will be children of the Most High, because he is kind to the ungrateful and wicked. Christians have to look to Jesus for how to respond to violence and injustice. The world responds by using violence to fight violence. Jesus responded to violence with self-sacrifice, never resorting to using violence himself. While citizens of America will cry out to “support the troops” and mean only American troops, citizens of Christ’s nation should cry out “support all troops.” A great way that Christians can serve their true country (the Kingdom of God) is by loving all people from all nations like God does. Can you imagine thanking the troops of Nazi Germany? Can you imagine marching in a parade to honor the troops of North Korea? Can you imagine telling your friends they need to glorify the troops of Iran by calling them heroes? Christians shouldn’t be celebrating anyone who has participated in violence. Christians shouldn’t support those who participate in war in those ways. But Christians should love every single one of them. There is a huge difference. If Christians are called to love all people, even people we would think are our enemies, then we have to recognize that it is a sin not to. When troops, from any nation, kill other people, they are failing to love the way that God commands. We as Christians cannot thank people for failing to serve God. We cannot thank veterans for sinning. When troops contribute to the plans of Satan by creating more death, we cannot honor that. Thanking veterans for their service doesn’t help them, only showing them God’s love can heal the pain and trauma that the true enemy has caused. Veterans who engaged in the horrors of combat, or witnessed such horrors, can carry the physical, emotional and spiritual wounds of war far beyond the length of their service. Many have witnessed firsthand the satanic evils of war. As followers of Jesus, we don’t want to “thank” veterans for their service; we value their life just as much as the lives they may have stole. We don’t want to glorify the victories of Satan by perpetuating cyclical violence and death (James 1:15). We want to love and be loved by these men and women who have been wounded by the violence of war that they participated in. Together we want to find wholeness and grow in our experience of a loving, gracious God. Soldiers in Afghanistan shouldn’t be thanked or honored for killing American soldiers anymore than American soldiers should be thanked and honored for killing Afghani soldiers. A follower of Jesus Christ should develop a heart posture that mimics God’s by truly loving soldiers of every tribe, tongue, and nation. Veterans Day is not to be celebrated like the world celebrates it by Christians who follow Jesus, but it should remind us of Christ’s words in Matthew 10:7-8: “Proclaim this message: ‘The kingdom of heaven has come near.’ Heal the sick, raise the dead, cleanse those who have leprosy, drive out demons.” Despite the Christian call to maintain distance from creating war, we must help those injured by it, including veterans. Veterans worldwide are victims of our true enemy, who comes to steal, kill, and destroy. They must be loved with a love more passionate than the glorification that the world applies to them. This love isn’t an annual event or federally mandated. It’s a long-term mutual relationship formed through sharing meals, by serving, through worshipping God in community, celebrating life’s sweet moments and mourning the bitter. It’s providing a safe space for veterans to share, if they wish, the stories of violence and loss they carry. These are the elements of healing many veterans need in the aftermath of combat. And they aren’t always found in the Veterans Administration hospitals or in the confines of therapy or pharmacology. These spaces for healing can be created in the local church and care must be made that violence and death are not glorified. As we continue on in the endless wars that began over sixteen years ago, our call as peacemakers continues to speak, act, pray against that violence. But as the men and women who experience that satanic violence return home, our mandate grows to include helping them find peace and healing. They, more than anyone, need the infectious hope of the radical, counter-cultural, non-violent way of Jesus. War Is Abolished How the birth of Jesus Christ changes everything. I Pledge Allegiance ...to what now? Soldiers Never Died For Your Freedom Rejecting the lies of empire.